This Interior is What Perfection is Made of! 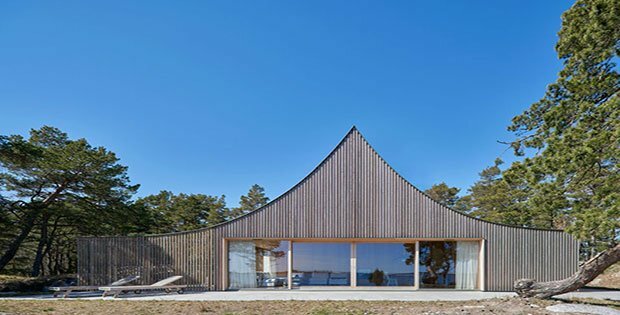 Everything about this home is utterly amazing. 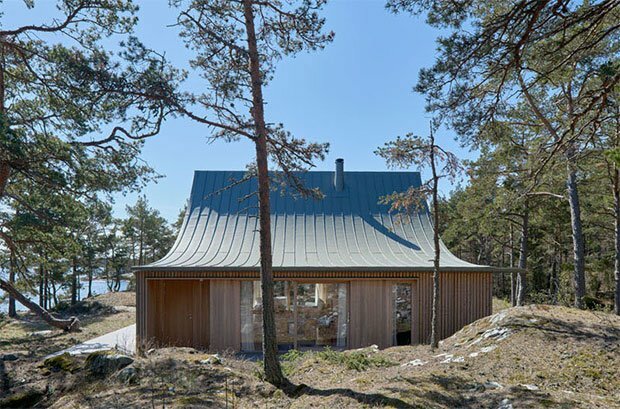 It’s located on a small island in Sweden, looking out to the open sea, and surrounded by nature. 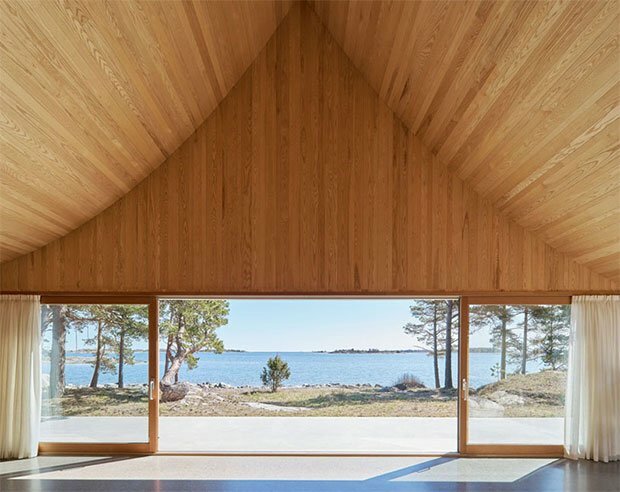 The exterior is breathtaking and not like anything else out there, while the interior is minimalistically perfect. 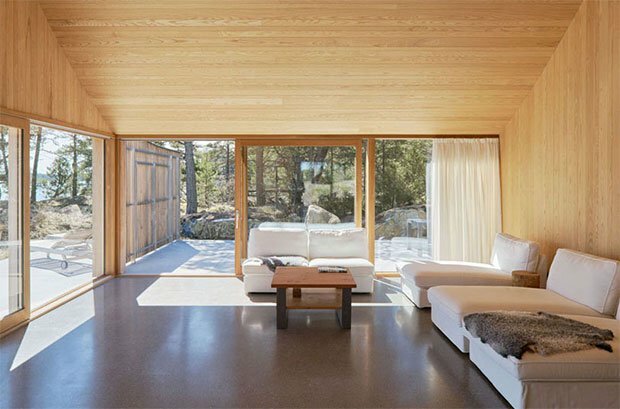 This house is truly leaving me speechless, wishing I was there right now! 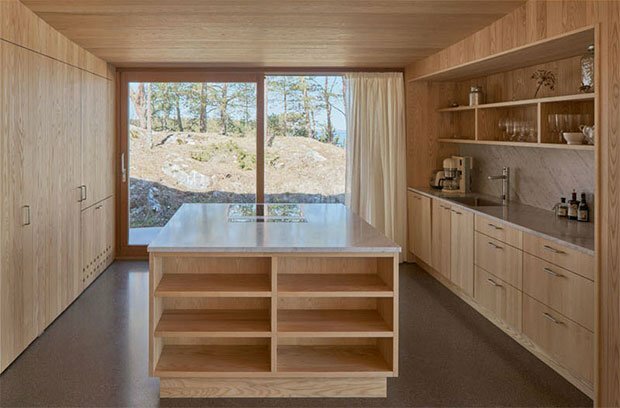 Swedish firm Tham & Videgård Arkitekter have designed a tent-like house on the relatively small island of Krokholmen in Stockholm’s outer archipelago, for a family that wanted a maintenance free vacation home with one level and social space both inside and outside. 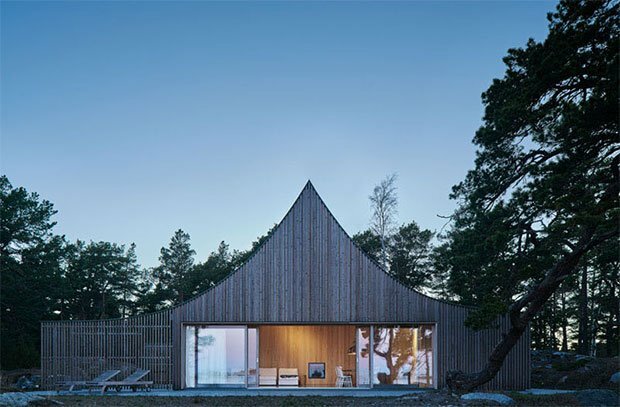 The house with its curved peaked roof, has a facade of cedar wood, while large sliding glass doors open the house up to terrace with views of the open sea.